A two-and-a-half year battle between Morningland and the Missouri State Milk Board over cheese embargoed at the Morningland facility will be ending on January 25 when Milk Board officials will be carting some 32,000 to 35,000 pounds of cheese off to a local landfill for disposal. Morningland owners, Joe and Denise Dixon, have invited members of the public to be present for the destruction of the cheese never proven to be harmful. The Milk Board shut down Morningland’s manufacturing operation and ordered all cheese at the facility embargoed on August 26, 2010 after receiving a report from the California Department of Food and Agriculture that Morningland cheese seized in a raid of the Rawesome food club in Venice, California in June 2010 had tested positive for Listeria monocytogenes and Staphyloccocus aureus. Not a single block of cheese in the warehouse had the same batch number as the cheese seized in the Rawesome raid. A Milk Board inspector initially told Joe Dixon that he would only be shut down for a few days—but that changed when FDA stepped up their involvement in the case a short time later and pressured the Milk Board not to let Morningland resume their operations. On October 1, 2010 the Milk Board sent the Dixons a letter requesting that they destroy the entire inventory of cheese at the facility; when the Dixons refused, the Milk Board filed a petition in the Circuit Court of Howell County to obtain an order for the destruction of the Morningland cheese. After a two-day trial before Judge David Dunlop, the judge issued a decision on February 23, 2011 ordering the destruction of the cheese. Morningland appealed the decision but on September 27, 2012 the Court of Appeals sided with the Milk Board. A petition to the Missouri Supreme Court to hear the case was rejected on December 18, paving the way for the destruction of the cheese to take place. Neither the Milk Board nor FDA ever tested any of the cheese stored at Morningland. FDA did take 100 environmental swabs at the facility, all of which tested negative for listeria. There was no accusation that any cheese Morningland produced had made anyone sick; there had never been any reported illness from the consumption of Morningland products in the thirty years the farmstead cheese operation had been in business. The Morningland case was about FDA’s agenda to restrict access to raw dairy products with the eventual goal of banning them. The agency doesn’t hesitate in sacrificing a business like the Dixons’ in order to move its agenda along. Make a donation to assist the Dixons through the “Uncheese Party” at www.pledgie.com, the original idea being to raise $250,000 to compensate the Dixons for the loss of 50,000 pounds of cheese. Join Morningland friends and supporters in sponsoring a cheese by making a non-tax deductible gift of love, aid and comfort to a farm in distress. Watch this video of Joe Dixon sharing the Morningland story in his own words. This was recorded at the Weston A Price Foundation (WAPF) regional conference in St. Louis in May 2012. 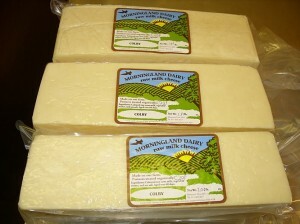 For more information about the case, click on “Recall Info/Court Action” on Morningland’s website (www.morninglanddairy.com) and the Uncheese Party blog. 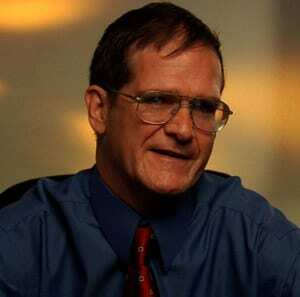 Attorney in Sarasota, Florida, served as President of the Farm-to-Consumer Legal Defense Fund from 2008-2016. He has represented or assisted in the representation of dairy farmers facing possible state enforcement action in Florida, Wisconsin, Ohio, Michigan and Indiana. He has helped farmers get started in the business of distributing raw milk and raw milk products in many other states.